Sometimes I crave biscuits, but most of them do not fit into my gluten free, low carb, low dairy diet! 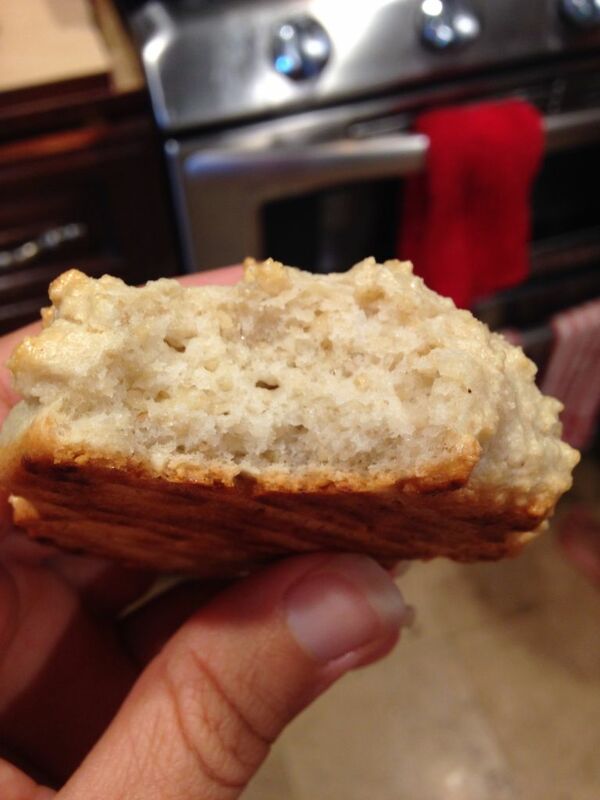 These paleo biscuits are easy and really yummy! They definitely do the biscuit thing! Serve them alongside a savory dish, or slathered with reduced sugar jelly. Ooooh! I just got another idea! Melt some Earth Balance into the warm biscuit, then spread some raw honey on there. My mouth is watering! Since they are made with cashew meal there are very few carbs in the biscuits themselves, so don’t feel too badly if you add just a little sweetness for a bedtime snack (at least an hour before bedtime, preferably…don’t go to bed while you’re still digesting). The key to making these biscuits fluffy is to use cold ingredients! 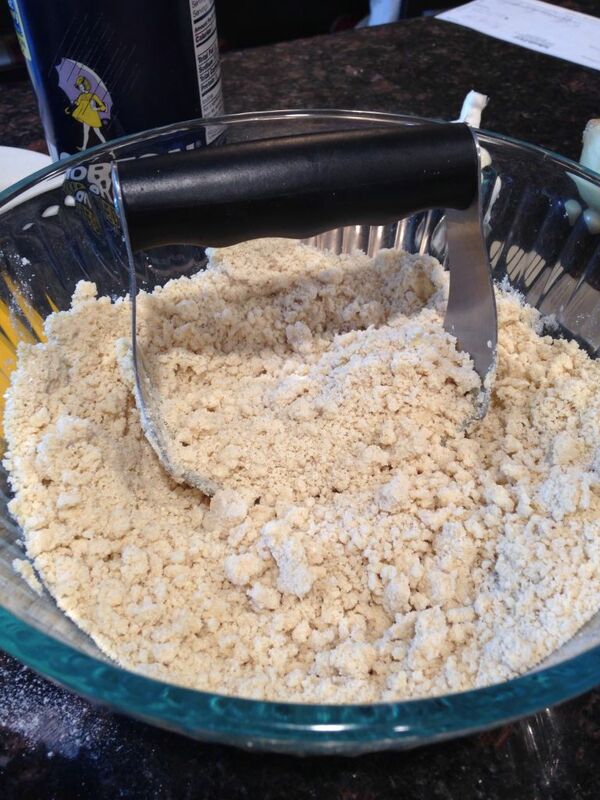 You want the coconut oil or butter to be very cold, so that it forms little chunks in the dough. As it melts in the baking process it’ll leave air pockets behind. If you’d like to make this recipe a little healthier, try using white bean flour , instead of the potato starch . It isn’t Paleo, but it IS healthy. It has fiber, protein, calcium, iron, and resistant starch. Resistant starch feeds the healthy flora in your gut, then passes on through, without being absorbed. Dieter’s dream come true! (By the way, I love lots of things about the Paleo diet, but I think it asks the wrong question. Shouldn’t we be asking if food is healthy, instead of asking if cave men ate it?). The bean flour has a small aftertaste, so you may want to use partly potato starch , and partly bean flour. Do not use garbanzo bean flour! Yuck!!! Before we get to the recipe, I want to invite you to join with others who are making healthy changes. I’d love to walk alongside you in your journey towards wholeness and health! Place the dough in the refrigerator while you whisk your egg whites. Whisk them until they’re just a little foamy. Combine the dough with the egg whites, then add the coconut cream at the last second. This dough will be more wet than traditional biscuit dough, but if it looks too wet to you, try adding a tablespoon of coconut flour. Drop onto a parchment lined baking sheet and bake for 11-13 minutes. You can also bake them in greased small ramekins . I made some heart shaped ones (fill half full, because they’re a bit larger than the other ones). 4 Responses to "Paleo Biscuits"